After a manic weekend of fashion shows and fancy dress I'm looking forward to a relatively quiet week in work and a weekend in. I think I just need a good lie in. 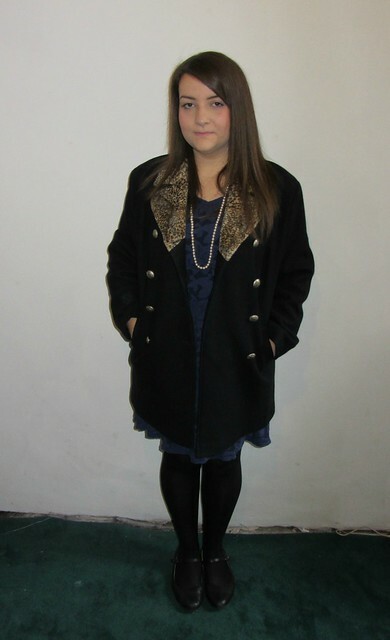 It has been ridiculously cold the past few days so I thought I would dig my warm winter coat out. 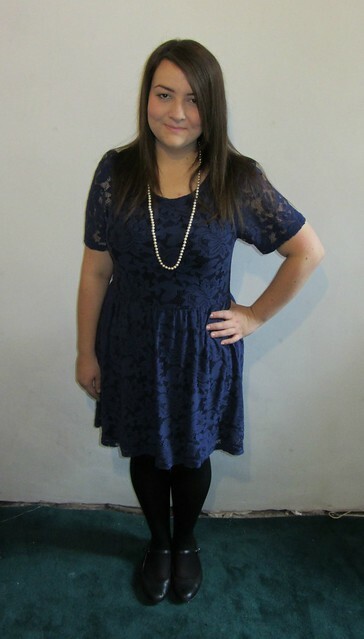 Wore this to work today and it isn't even cold, just my luck! I know this is a tad dressy for work but I hate having nice dresses hanging in my wardrobe and not seeing the light of day. I don't see the point in keeping things for best. Shoes: flat shoes from Clarks. We are having a bit of a push to get the house ready for Christmas now. The utility room has now been fitted and tiled and the main bathroom is nearly complete. Living in a house while it is being renovated is a total nightmare, wouldn't recommend it to anyone! 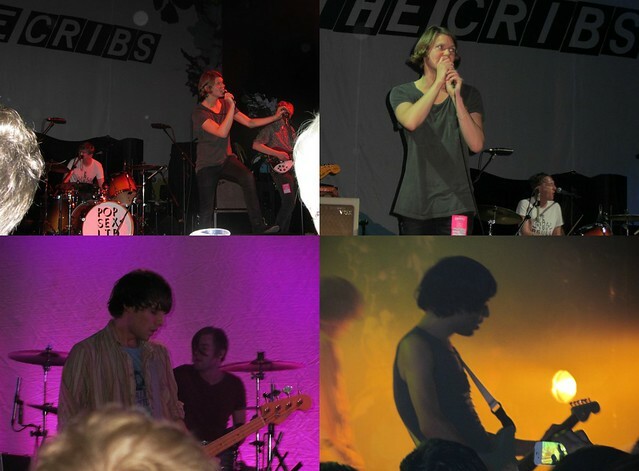 I forgot to share these photos from The Cribs and Frankie and the Heartstrings gig I went to last week. I have to admit I mainly went to see the support band Frankie and the Heartstrings but I loved The Cribs too. Was great to hear new material from both bands, they are touring the UK together at the moment and I think you should check them out. You can download the new FATHS single here for free, it was produced by Bernard Butler (formerly of Suede) and its my favourite song at the moment. Frankie Francis has great energy on stage, they really are one of my favourite bands to see live. Shoe twins! Love the dress, I have a similar one in my wardrobe that I think needs to make it's transition from night wear to day wear - I don't wear it enough! Your coat is so lovely! Perfect for this chilly weather! It's definitely winter coat weather all of a sudden, isn't it!? I'm loving it at the moment, but I'm sure I'll get bored of all my coats soon enough. I love your coat, it's so pretty!